A new year has started and we are full of good plans and intentions for us and for our children. why not start learning Spanish with your children; Children love learning and the benefits of learning languages are immense. Acquiring new languages leads to increased cognitive functioning in the areas of attention, inhibition, and flexibility. Speaking more than one language enables you to communicate with more people and read and learn about the world from other perspectives. It can even improve your mathematical ability. In November 2017, the British Council released a research ranking Spanish as number one in a list of foreign languages which will be most important for the UK’s future prosperity and influence. In addition to this, the British Council, along with a number of other organisations, have long fought for second languages to be compulsory in all schools from age 7 to 16 A second language should now be introduced in all primary schools by YR 3. But research suggests that our ability to learn new languages is at is strongest during our early years. Having taught the primary curriculum at schools in the UK, I know that children would, without a doubt, benefit much more by starting learning languages in their early years. When learning a language, speaking and listening is more important than reading and writing. Babies learn language from listening to others speaking it in their environment. They then begin to speak it themselves and are fluent in the language before starting to learn how to read and write. Why should learning a foreign language be any different? Once the child has got some grasp of the language, and they are at reading age (+5 years), you can begin to teach them to read and write in the foreign language, by then the primary school curriculum would be a first step into reading and writing but moving forward quicker and with a strong foundation. Now the question is how can you and your children learn Spanish together? Although children are great at picking up another language, they can also be quite good at forgetting. Therefore, the best way to teach them is little and often. You can join a local language class to attend together and afterwards find all the occasions possible to repeat the words and songs you two have learned in class. This will keep the things they have learned fresh in their minds and aid their memorization. Young children often like repetition. We all know that our children will often ask to read the same books or sing the same songs over and over again. Repetition is their way of learning the sounds, grammatical rules and other linguistic parameters of their language and any new one will work the same. If you live in South West London, check our classes here. Another great way to engage young children is through songs. Babies and young children are drawn to the varied intonation and rhythm of singing. It is known that singing to your child can aid language acquisition in many ways. The repetition can help them to discriminate between the sounds in the language as well as helping them to acquire new vocabulary. Also, singing can improve auditory memory, the ability to process, retain and recall the things you hear. All these things are crucial for language acquisition. Action songs strengthens memory and recall. Children’s action songs offer rich learning experiences that have children memorizing information in a variety of ways. Children’s action songs have children learning musically, verbally, visually, and physically – all at the same time. The combination of all of these learning styles, found in children’s action songs, strengthens memorization of information and the ability to recall what has been learned. They are also great to develop fine and gross motor skills. Finger plays, upper body and lower body movements provide physical benefits. Controlled actions help to support body movements, coordination and mind and body movement control. Our online Spanish for toddlers and pre schoolers has plenty of these! Check out our Free Bundle here and see what we offer. Books are a great tool to learn. It is a quiet time together, children are much focused looking at the pictures and enjoying the shared time. Try find books in the target language, I would recommend simple, and picture focused type of books. You can also use the books you have at home and look for the words you will need before. 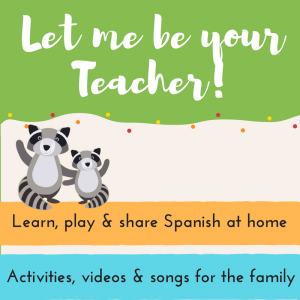 At Nano Spanish Club you we want to make it as easy as possible for you to have all the tools and resources for a successful start in learning a new language with your children. 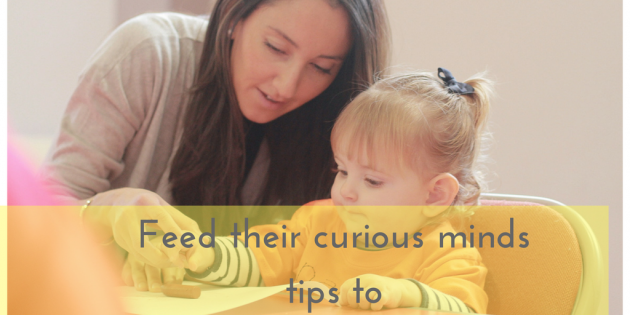 Each month we cover different topics that will keep the little ones engaged. Our learning entitles visual cues, action songs, interactive games and crafty activities to reinforce the learning. Find our Free Bundle here and start your journey with us! To all of you that make the decision to give it a go, I wish you all the best and let me know if I can be of any help! For other articles that can help check our blog.